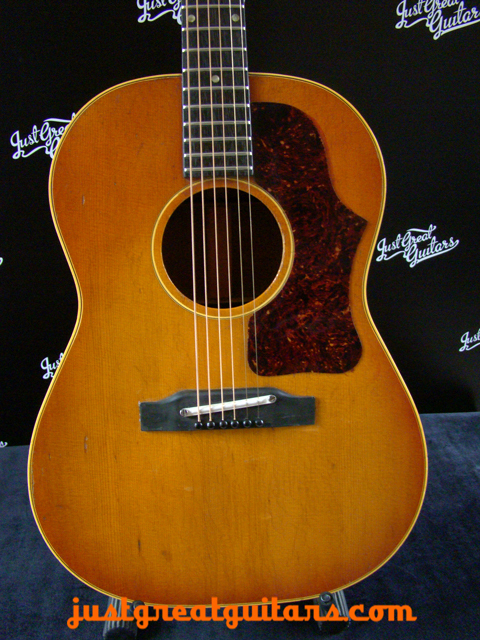 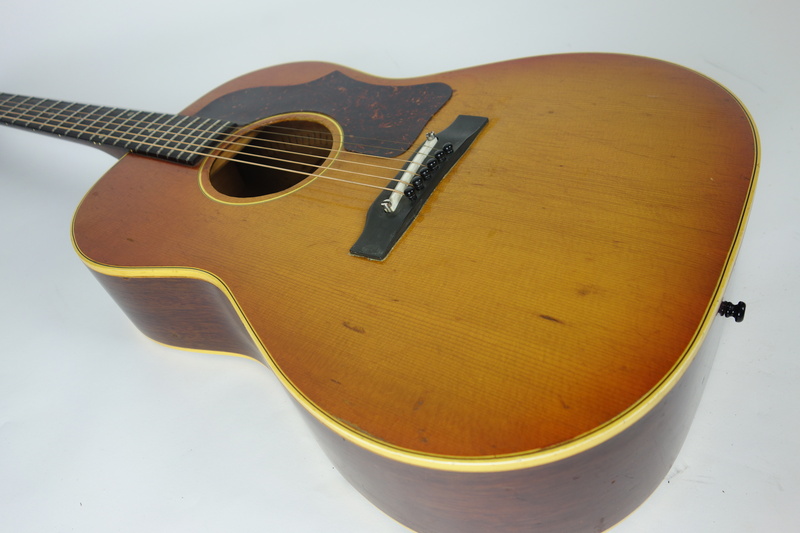 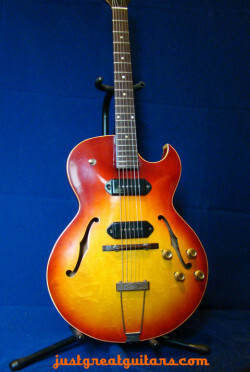 Small bodied Gibson acoustics are always very popular and this is a lovely playing example Gibson B-25 from the early 1960’s. 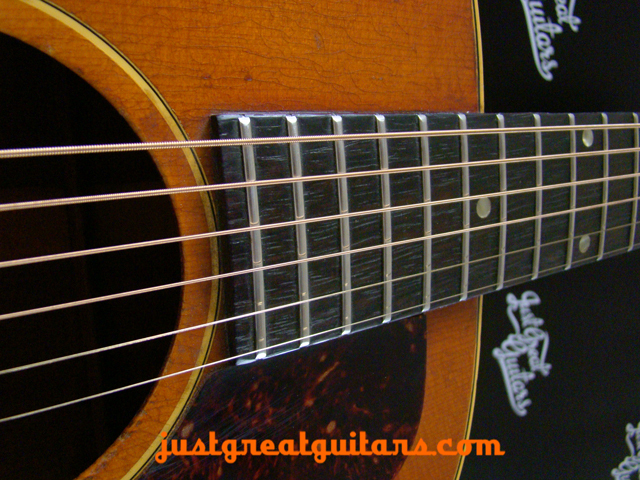 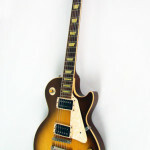 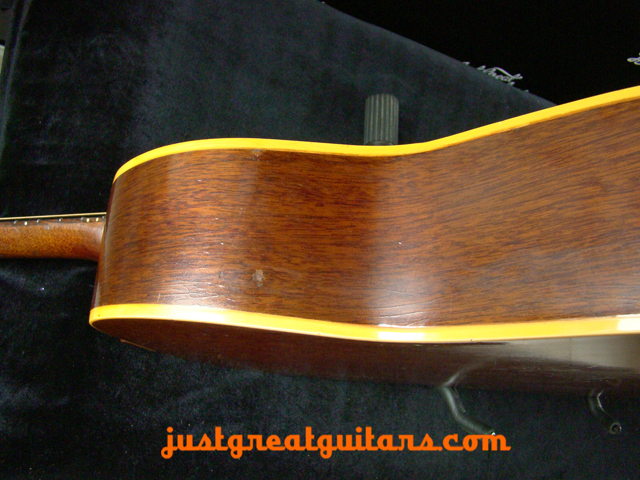 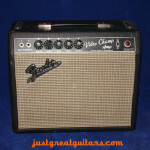 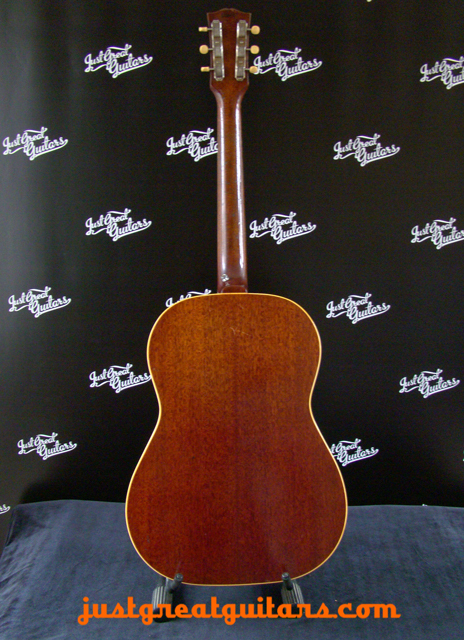 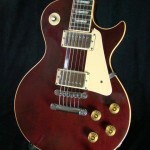 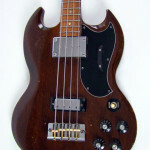 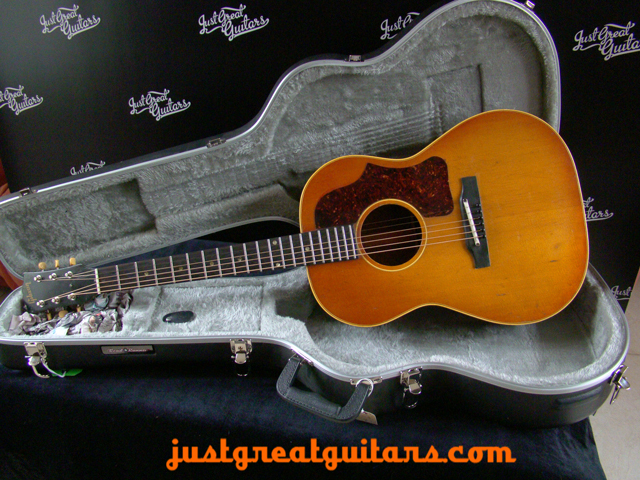 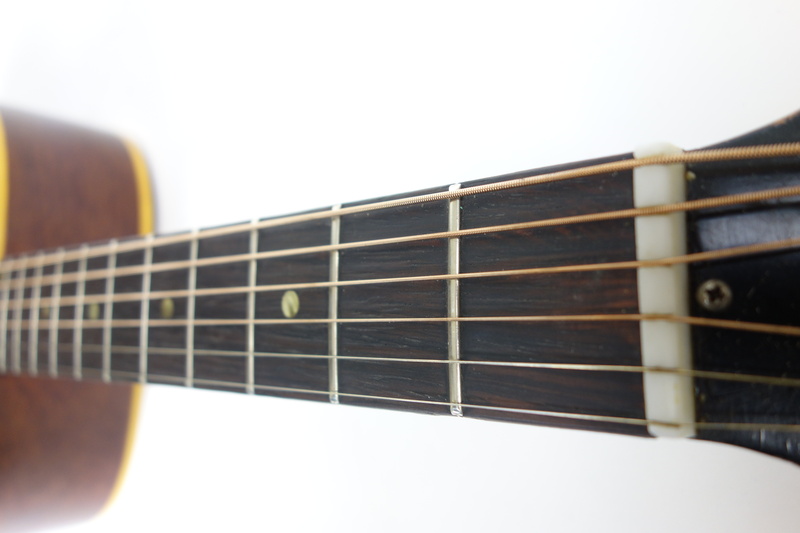 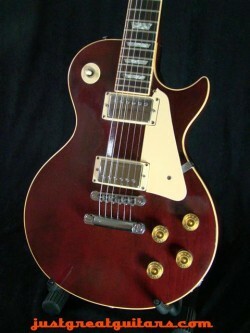 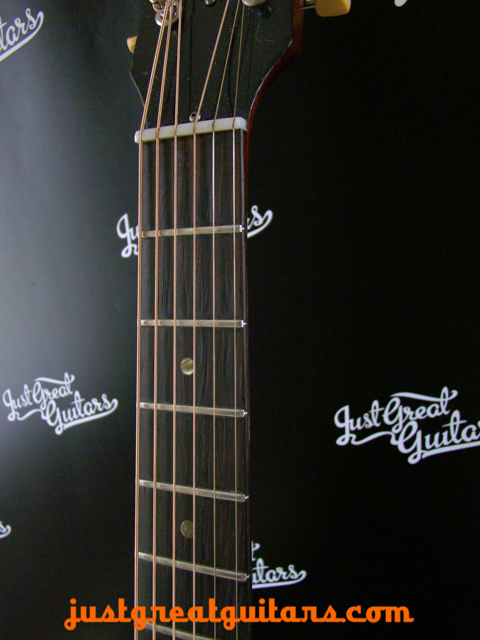 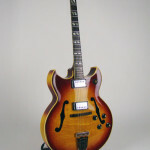 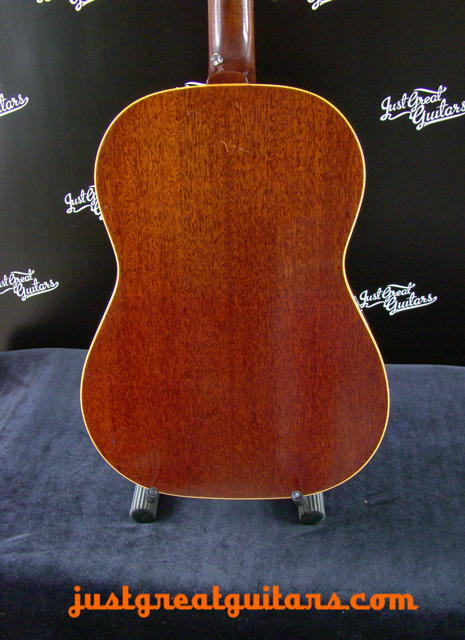 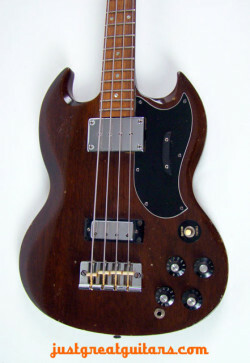 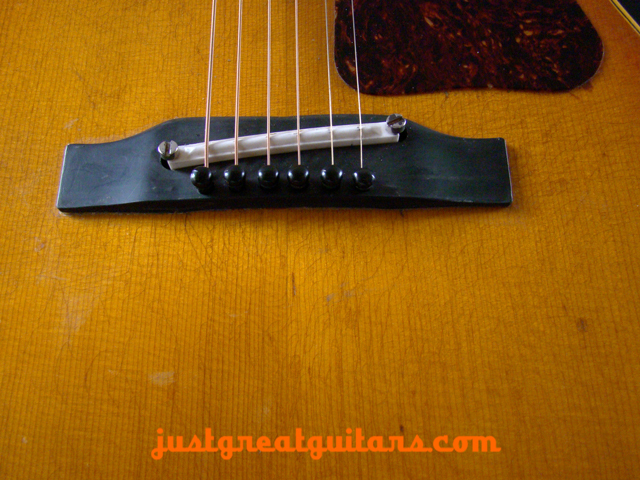 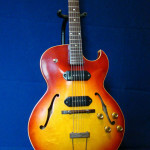 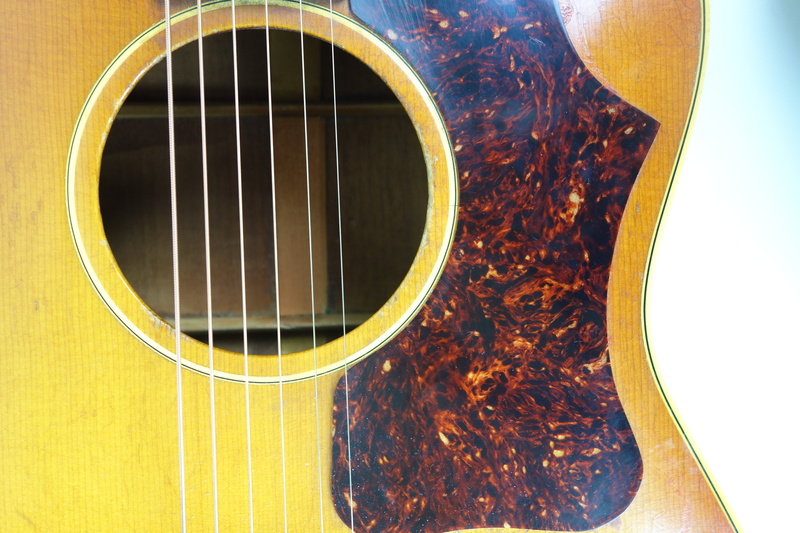 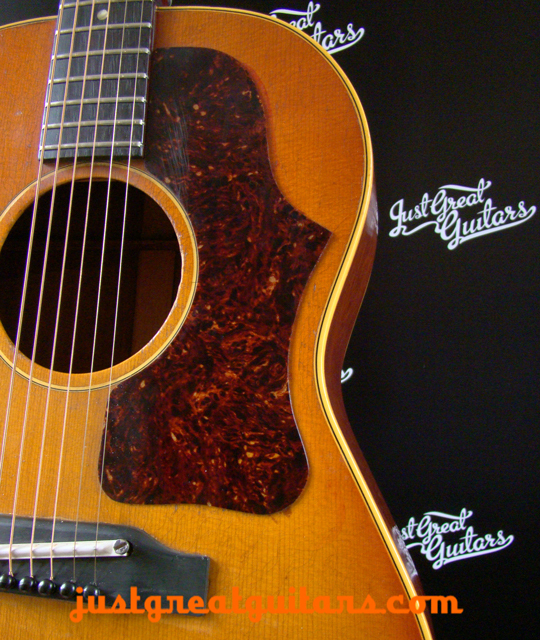 It has a comfortable single piece mahogany neck, spruce top and mahogany back and sides. 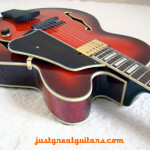 Kluson Deluxe ‘3 on a plate’ tuners, plastic bridge with adjustable ceramic saddle. 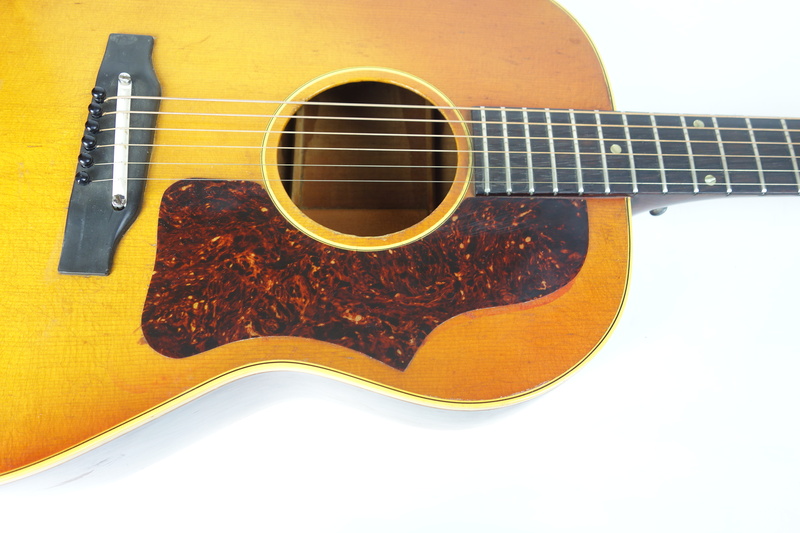 The sunburst has faded so much on this guitar that it’s now a lovely mellow smokey orange that is better than natural and better than sunburst. 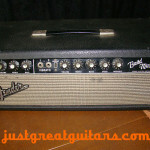 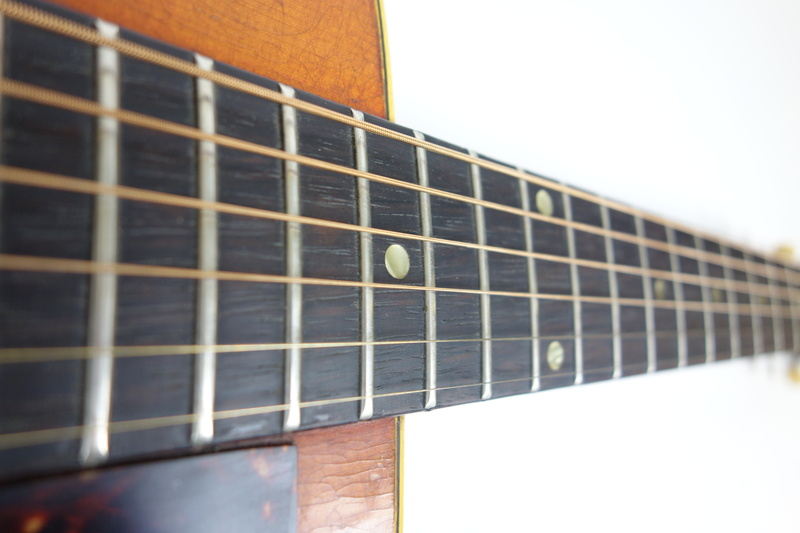 It’s in fair condition and appears to have been professionally re-fretted. Currently, all except the hard case is original including the plastic bridge with its adjustable ceramic saddle. 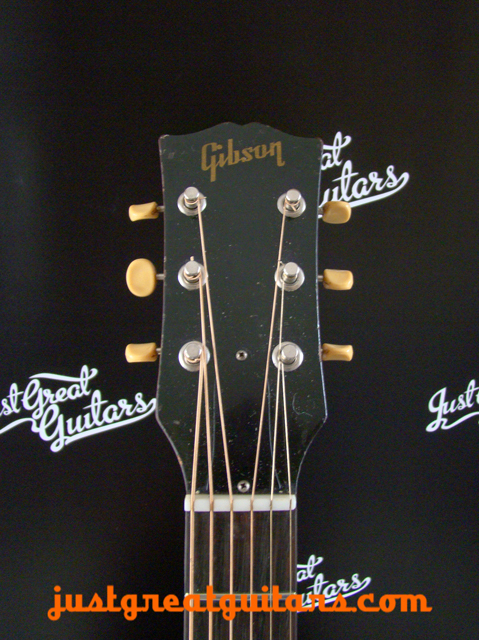 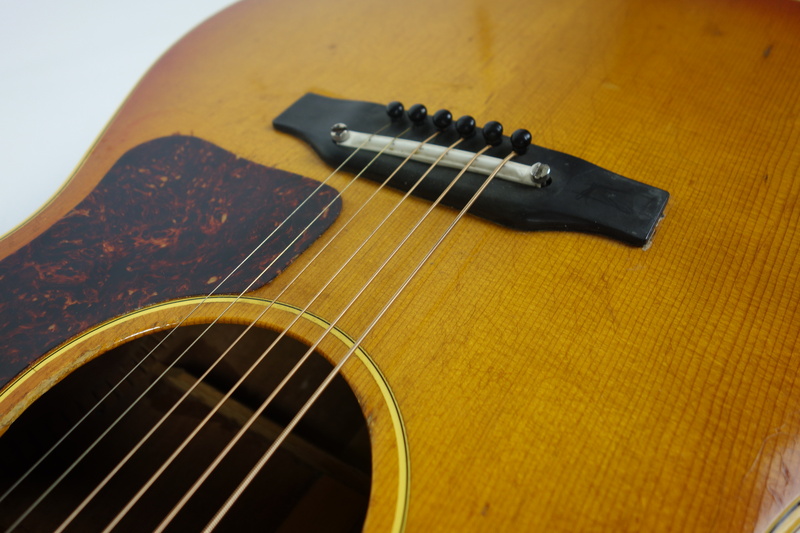 People speak poorly of Gibson’s adjustable acoustic bridges but with their ceramic saddle they work very well indeed, producing a strong bright sound. 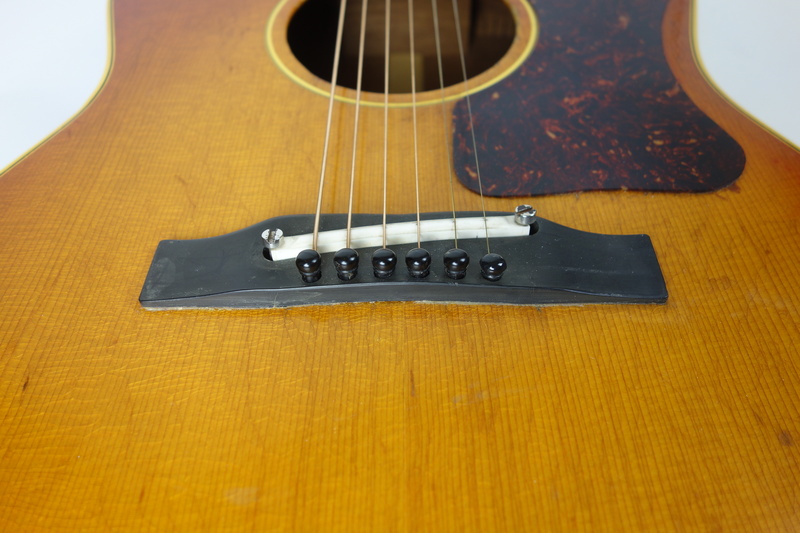 Unfortunately though, the bridge is lifting at the back and the top has started to ‘belly-up’ under the strain behind it. 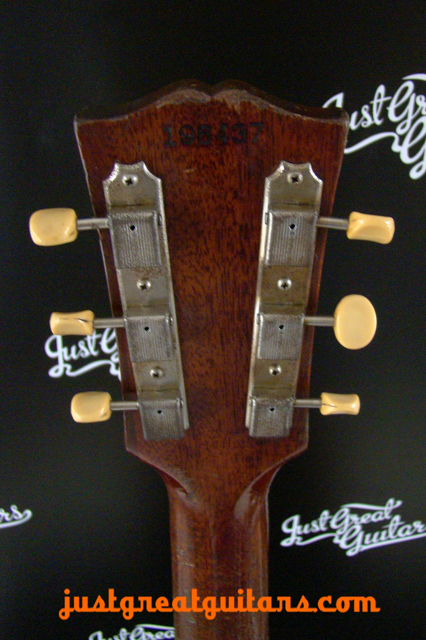 This is a common problem with old flat-tops and necessitates the removal and re-gluing of the bridge every 50 years or so. 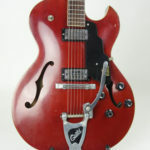 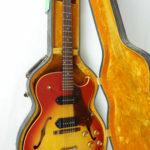 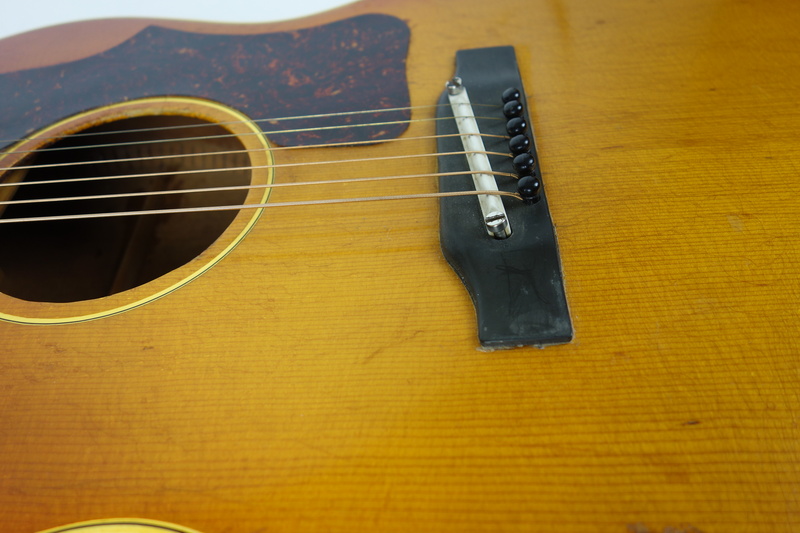 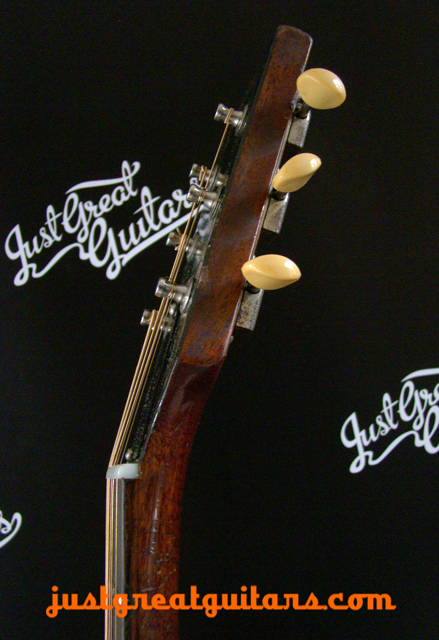 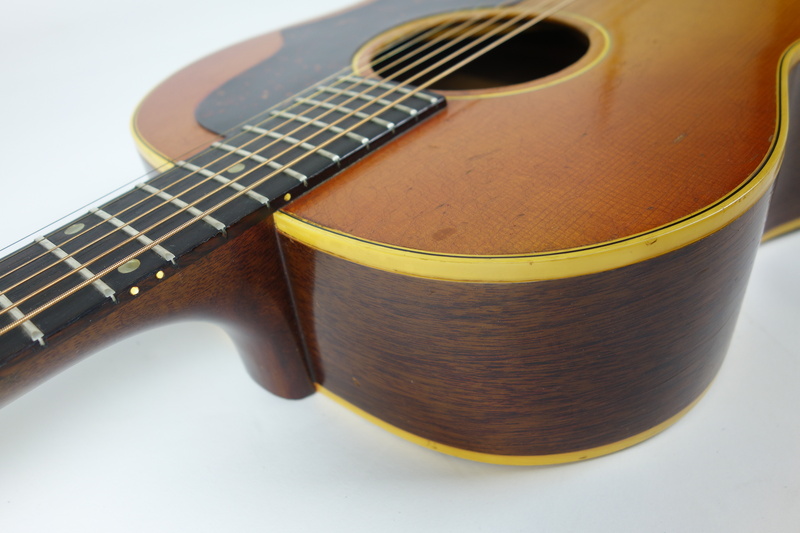 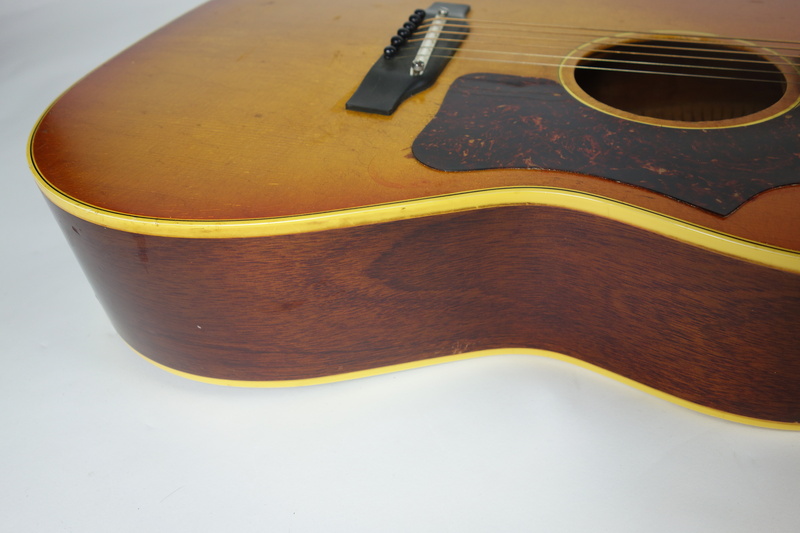 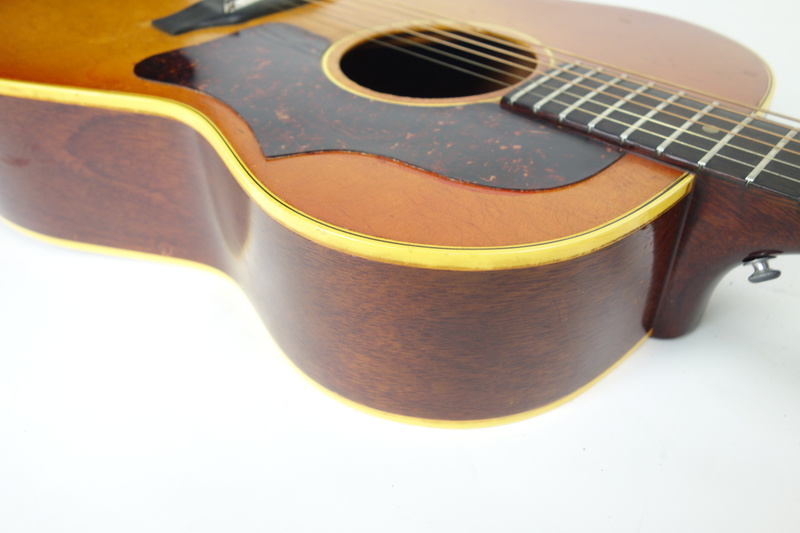 For this reason, we have withdrawn this guitar from sale and it will remain in the buyer’s study being played until the bridge falls-off or the top bellies-up enough to warrant a return trip to the workshop to get fitted with a modern rosewood bridge.